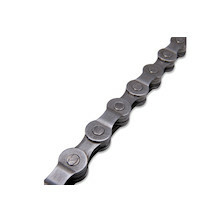 Worn chains are bad news. Bike chains have a hard life, and hundreds of miles pedalling through rain, grit and mud do unfortunately take their toll. 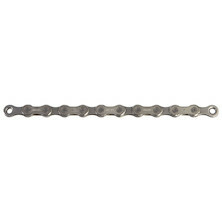 Chains don't stretch, but become worn around their joining pins; which if un-replaced, will go on to ruin your expensive cassette sprocket and chain ring teeth. 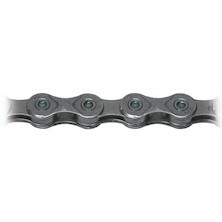 It stands to reason that replacing your chain often makes more sense than riding it into the ground before taking measures. 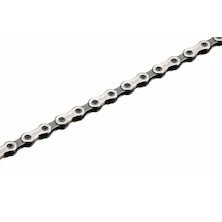 We recommend always using a chain wear checker to be sure that your chain is fit to ride. 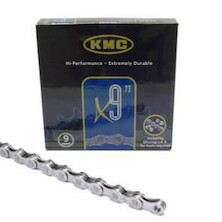 Upgrading your chain is also a sure way to save weight- and with our credit-crunching offers on leading brands like Shimano, SRAM and KMC, you just can't go wrong.